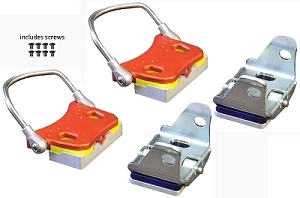 Replace those soft aluminum step-in heel receivers on your TD2 (NOT TD1) bindings with these hardened steel receivers. Steel receivers resist wear and the action is more precise and positive. 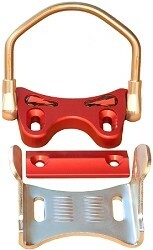 Also, these have the same features as found on the TD3 bindings: "Ice-Breaker" lock bracket and 5mm Hex Key fasteners. We highly recommend these receivers if you plan to use the new Fin-Tec Step-In heels. ARE MY BOOTS FIN-TEC COMPATIBLE?